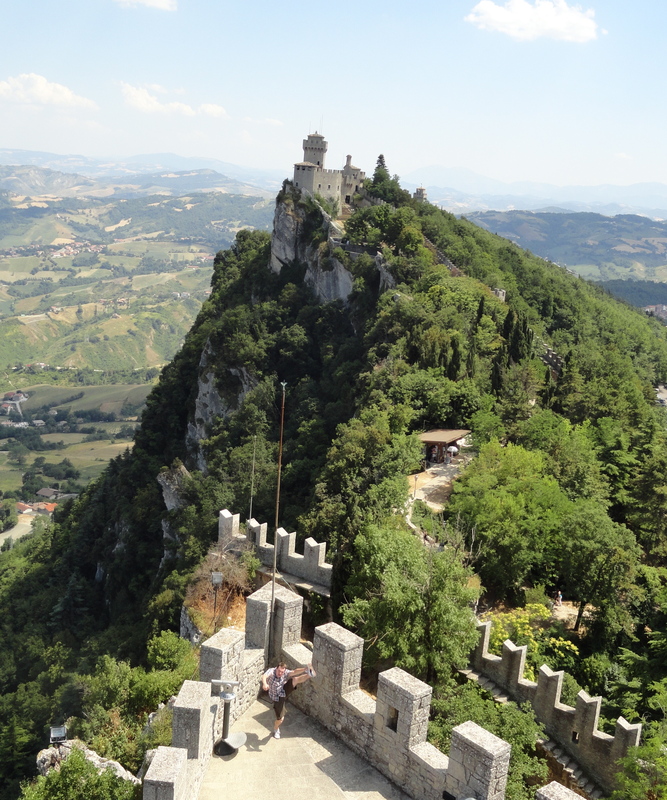 During our stay in Italy two summers ago, we took a side trip to the Republic of San Marino. We spent the day exploring its medieval hilltop capital – Città di San Marino – visiting the town hall (Palazzo Pubblico), walking along the city walls between the iconic Three Towers, and enjoying spectacular views of the surrounding Italian countryside and Adriatic Coast. – With a population of 30,000 and measuring 24 square miles, it is one of the world’s smallest countries. – The country is governed by two elected Captains Regent – one from each political party – who are replaced every six months. – The medieval City of San Marino and Mount Titano were declared a UNESCO World Heritage Site in 2008. Neil on the city wall – Don’t look down! 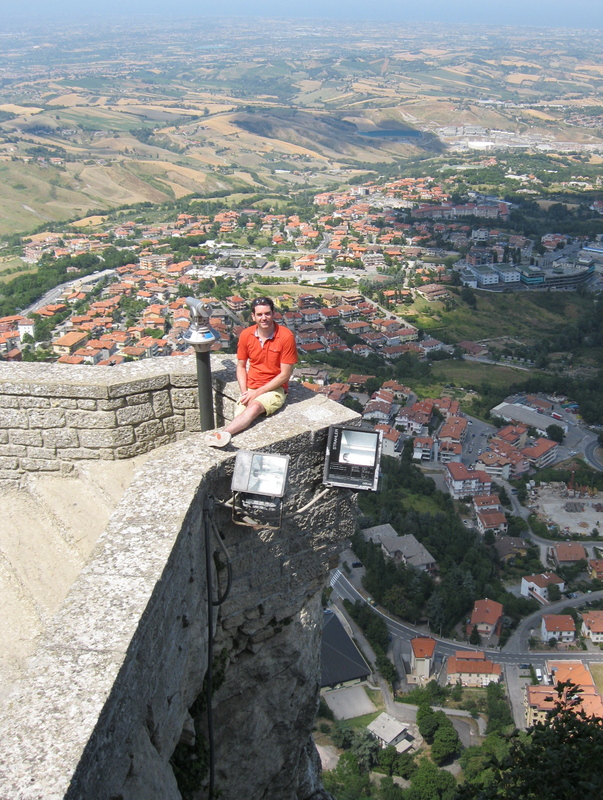 This entry was posted in High Kick Photos and tagged High Kick, San Marino, UNESCO World Heritage Site. Bookmark the permalink.